Tracy-Ann Oberman, former Doctor's enemy, celebrates the minds behind a Time Lord. Details of all the Doctor Who programmes on 4 Extra. 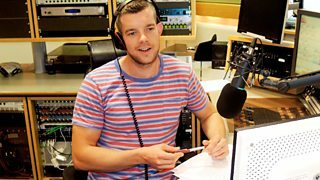 Actor Russell Tovey presents a special documentary celebrating 50 years of Doctor Who. 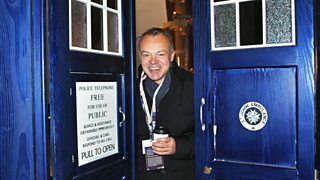 Live from The Doctor Who Celebration in London with a Tardis-ful of special Who guests. Dr Who: The timeless appeal of the Time Lord’s theme tune. 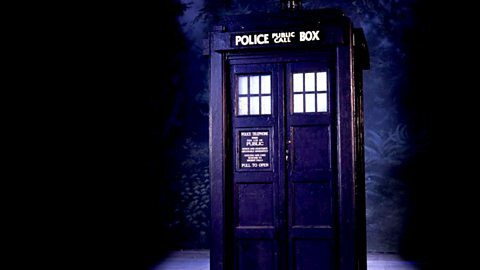 Composer Mark Ayres recalls some of the different incarnations of the Doctor Who theme. All programmes are available on BBC iPlayer for 7 days following their first broadcast. The first two episodes of the dramas and readings are broadcast at 6pm with the full story broadcast at midnight. 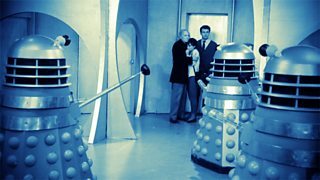 A reading based on the original 1963 TV serial featuring the First Doctor and narrated by one of the first companions, Ian Chesterton (played by William Russell). Nuclear threat looms large, no more so than on the radiation ravaged world of Skaro. It's there the TARDIS heads for the Doctor's first meeting with the bane of all his travels ... the Daleks. In this drama the seventh Doctor (played by Sylvester McCoy) and his young companions Hex and Ace are plunged into the late 80s, where history has gone terrifyingly wrong with the world trembling on the brink of a final terrible war. 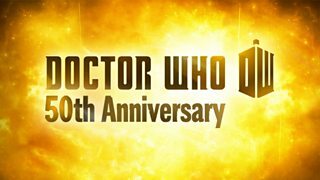 A full cast audio drama in which the seventh Doctor (Sylvester McCoy) arrives in a remote homestead during the period of Kenyan independence in December 1963 and is reunited with an old acquaintance - an ex-Nazi called Klein. Based on an unproduced television script and brought to life through a combination of performance and narration. The original team of the first Doctor and companions Ian, Barbara and Susan step out from the TARDIS into the Hanging Gardens of Babylon and meet Alexander the Great. A full cast drama featuring the eighth doctor (played by Paul McGann). The two-part story explains the on-going mystery of Lucie Miller (Sheridan Smith), paired off with the Doctor in a witness protection programme. The remarkable story of pioneering BBC Radiophonic Workshop music composer Delia Derbyshire. Starring Sophie Thompson. A reading by William Russell (Ian Chesterton in the original TV serial on which the story is based). This is one of the classic Doctor Who stories featuring the first Doctor and set in an occupied Britain. Tracy-Ann Oberman is the guide on a journey back to a time before Time Lords. Interviewees include Doctor Who writers Charlie Higson and AL Kennedy and William Hartnell's grand-daughter. 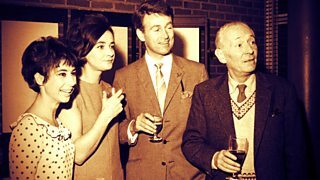 Featured programmes include 'The Reunion', which gathers the original 1963 cast and 'Whatever Happened to ... Susan Foreman?' 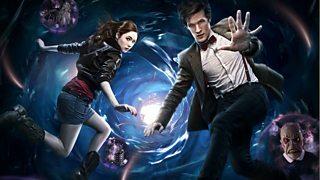 which tries to solve the mystery of the The Doctor's original travelling companion, his grand-daughter. An Eighth Doctor adventure starring Paul McGann, Sheridan Smith and Graeme Garden. The Time Lord calls on friends, family and the Monk to help overthrow the Dalek occupation of Earth. Eighth Doctor adventure stars Paul McGann, Sheridan Smith and Graeme Garden.